David Bell's new paperback book -- "Cruise The Ozarks Anthology 2017" -- is now available for instant purchase online! Get your copy today! For a free peek inside this new paperback click here to preview it on Amazon.com. Click on the "Look Inside" button at the top of the book cover and see how this book will help you plan your next getaway trip to the Ozark Mountains! 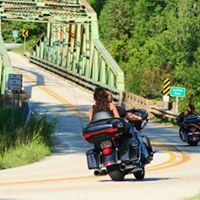 Prepare For Your Ozarks Motorcycle Adventure! Discover the simple beauty of riding your motorcycle through the Ozark Mountains with "Cruise The Ozarks Anthology 2017" by David Bell. Enjoy touring the quaint Victorian village of Eureka Springs, the Dam Bridge Loop, the famous Pig Trail on Hwy. 23, travel the 215 to Oark, plus helpful, colorful maps to ensure you never get lost. Further, David Bell's book details riding trends, things to do in the Arkansas and Missouri Ozarks, sights to see along the best rides in the Heart of the Ozarks, majestic views of the Roaring River Loop, as well as the majestic Arkansas Scenic Highway 7 that takes you right down the middle of the Ozarks region. One of the Top 5 motorcycle rallies in the nation -- Bikes, Blues & BBQ -- is documented for you so you'll be ready for what you'll experience with 400,000 of your closest friends! Where to find the best back roads of the Arkansas and Missouri Ozarks, and the best off-the-beaten paths to follow. This book is a must if you've been wanting to explore the Ozarks on your bike. It's an easy way to plan your next trip to the Ozarks by having this beautifully illustrated guide at your fingertips. Click here to get your copy today! The new Cruise The Ozarks Anthology 2017 brings together all the great stories published in Issue 1 through Issue 8 in a sturdy paperback format. Why did David Bell publish this paperback book for his avid readers? "I put this together so that I could share with others the places I love to ride in the Ozarks. I want others to enjoy this wonderful riding area as much as I do," he said. "Inside these pages you'll find great places to ride to, great roads to ride on, and wonderful places to stop, get off your bike, and just enjoy the views." Why did he start CTO back in 2011? "I had written lots of stories for national motorcycle magazines about the Ozarks over the years. I wound up with lots of stories and photographs left over." Bell has written for Rider Magazine, Ride Texas, RoadBike Magazine, as well as other general interest publications. The state of Arkansas has hired Bell to keep its own motorcycle vacation guide updated over the years. But he wanted to reach riders directly. He wanted to share his photos and stories directly with other riders. 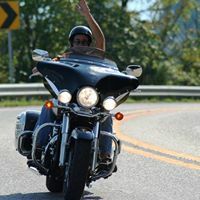 "My goal was to share my personal stories and pictures with riders who also wanted to cruise the Ozarks." 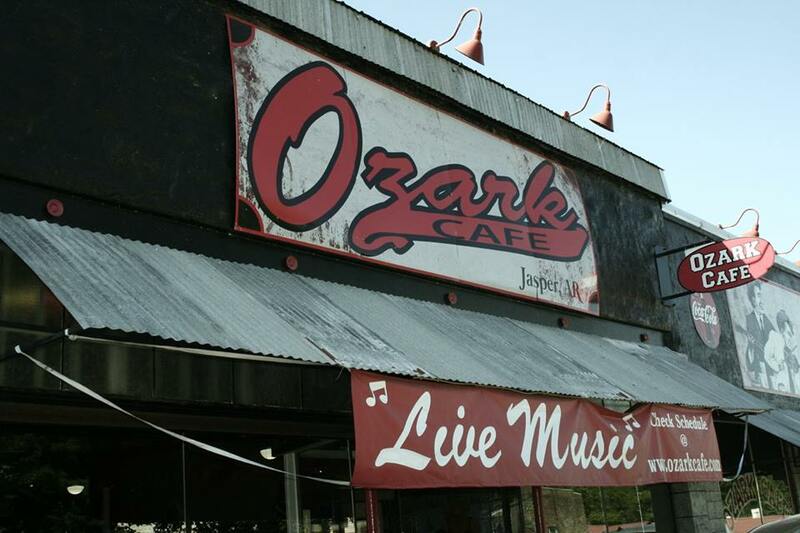 The first issue was centered on the quirky tourist town of Eureka Springs, but quickly he found readers were more interested in exploring all over the greater Ozarks region. So Bell changed the focus to an Ozarks-wide vision, and the rider's guide has grown every year since. Readers contact David directly to tell him how much they enjoy his magazine. 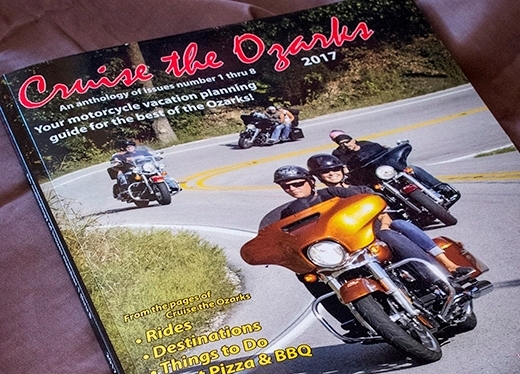 "I think that readers realize this magazine is a labor of love, and that is who they want to get advice from about cruising the Ozarks... from an Ozarks' native who wants to share the area he loves." He keeps it a high-quality glossy publication because he wants it to stand up to the competition. "I want to be able to hold my head up when readers pick up my magazine alongside any other national motorcycle magazine," he said. "I want it to be something that they'll want to keep and not just throw away." He has come across readers who have kept every issue; many have called to fill in voids in their collection. "I think that is because they want to use it as a reference for planning their trips to the Ozarks." This perfectbound paperback anthology has more than 112 pages of editorial content -- rides, destinations, select ride maps, and the history of the Ozarks in full-color splendor. The "Cruise The Ozarks Anthology 2017" can be ordered online now at www.CreateSpace.com. If you are an Amazon Prime member you can purchase this book at Amazon.com and get free Prime Shipping. To get your free peek inside David Bell's new paperback click here to preview "Cruise The Ozarks Anthology 2017" on Amazon.com. Click on the "Look Inside" button at the top of the book cover and see for yourself how this book will help you plan your next getaway trip to the Ozark Mountains! Get your copy today! Jasper, established in 1840, over the past 10 years has become the town to visit for great riding adventures in Newton County. Riders have found a very welcoming attitude from local residents and business owners. The seat of Newton County, Jasper is at the crossroads of some of the best riding in the entire Ozarks. Indeed, you could say Jasper is directly situated right at the very center of The Heart of the Ozarks. The Buffalo National River winds through the town. Jasper is in the middle of great hiking, canoeing, the beautiful Ozark National Forest, the wildlife of Boxley Valley, and Ponca where wild elk herds roam freely. Practically all scenic highways that delight motorcycle riders from across the US and from foreign countries converge in Jasper. There are excellent state parks to explore. 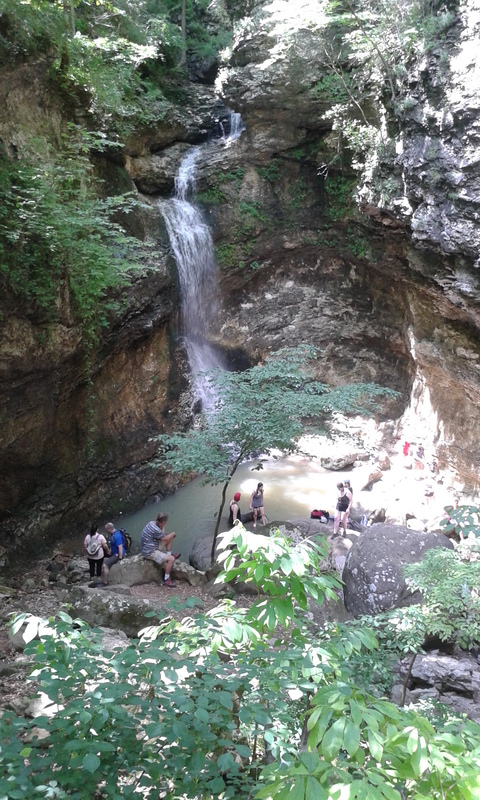 Attractions include underground caves and delightful waterfalls. Stop along various overlooks for memorable photos. There are museums to check out. Or you can simply relax on the downtown Jasper square and you will find shops and cafes aimed to please. There are plenty of park benches available to rest your bones after a nice ride and watch the world pass by slowly in Jasper. Jasper is a quaint, quirky town located 18 miles south of Harrison on Scenic Hwy 7. It can be found less than 45 miles south of Branson, so if you are visiting southwest Missouri, you owe it to yourself not to miss the golden opportunity to ride just a wee bit further to visit The Elk Capital of Arkansas. If you are traveling from the south, take Hwy 7 out of Russellville and you will be in Jasper within an hour. Once you are here you will find owner-operated motels with float services, plus restaurants serving delicious foods; you will find a wonderful art gallery called Nelms Gallery off the square, filled with local creations. If you like treasure hunting in antique shops you'll find plenty to fill the day. The people are friendly and welcoming to riders. And, the WPA-era historical county courthouse built in the 1930s lends an air of grace to the downtown area. There is the Junction Quick Stop, a busy convenience store in town to refuel. 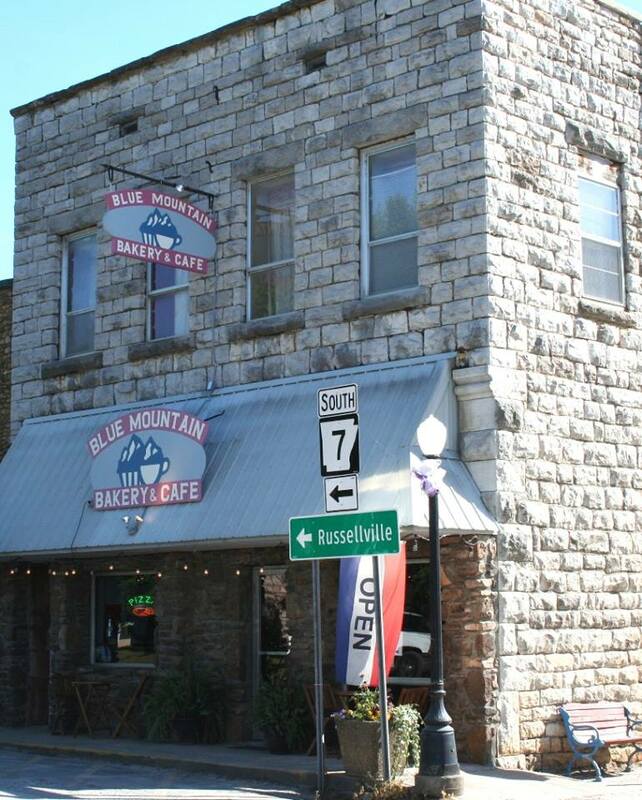 And, if you are hungry, we recommend two great little cafes: The Blue Mountain Bakery & Cafe and The Ozark Cafe. Each is housed in historic buildings that take you back to a simpler time, and both serve absolutely delicious food. 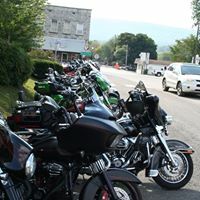 You will find a wide variety of local motorcycle-lodging to choose from. One of the most popular motorcycle resorts in the entire Ozarks is found at The Hub, located just 10 miles north up Hwy 7 from Jasper. It features a great place to base your ride for all size groups, plus on weekends Scooters Restaurant next door serves up delicious steaks on the weekends. Another great place to base your ride is found on Hwy 7, the Shady Oaks Campground and RV Park, nestled in a beautiful park-like setting just east off Hwy. 7 on Hwy. 206. To help you find your way around, we recommend making a stop at the Jasper/Newton County Chamber of Commerce Shop across from the courthouse on the Jasper square. There you will find quality works by dozens of local artists and crafters, as well as books, gifts, teas and coffee and a nice selection of spices. If you want to call ahead to make sure they will be open the day you visit, their phone number is (870) 446-2455. Cruise the Ozarks launched a new website in 2017 to help showcase all the great places to visit in Newton and Madison counties in Arkansas. Visit www.HeartOfTheOzarks.com to find more information on this wonderful destination and about Jasper itself. 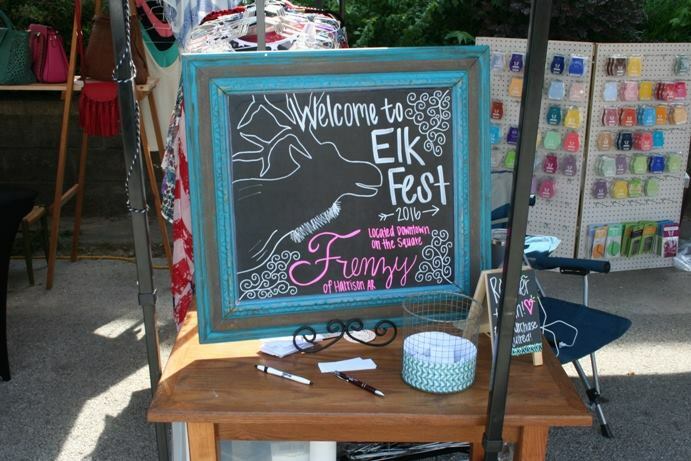 And, don't forget: the 20th annual Newton County Elk Festival will be held the last full weekend of June this year on the historic downtown Jasper Square. Back in the early 1980s local citizens joined forces with the Arkansas Game and Fish Commission on a unique elk herd restoration project. Owing to years of elk over-hunting and a gradual loss of grazing land, elk became extinct in this part of the country back in the 1800s. The public/private restoration project has resulted in creating the largest elk herd in middle America. You can often view elk grazing in the Boxley Valley not far from Jasper. Simply take the Hwy 74 up over Mt. Sherman, winding down to Hwy 43, then turn left and look to your left. If you see other cars parked along the side of the road, stop; you can be certain that they have spotted elk in the beautiful grassy meadows. The elk herd today can be found wandering anywhere along the the river .... in Boxley Valley, Steel Creek, Pruit, Ozark, or sometimes even on private lands. Please remember you are not allowed to enter the fields they are grazing or approach the elk, for their safety and your own. There are two elk information centers in Newton County where you can learn more about this unique feature of Newton County: the Hilary Jones Wildlife Museum and Elk Information Center in Jasper and the Ponca Elk Information Center located just north of Boxley Valley on Hwy. 43.